This is a new image showing the Bachmann Cl24 with laserglaze windows, and extreme etchings headcode discs and roof fan and grill set. We’re really pleased with the lift in the appearance the model gets from this easy and cost effective makeover. As mentioned above this coming weekend we are at the Nottingham show, and we look forward to seeing you there! 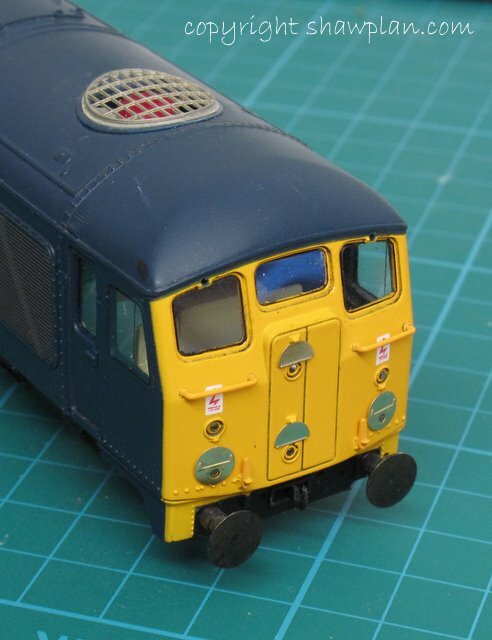 This entry was posted on Wednesday, March 16th, 2011 at 9:13 pm and is filed under 2mm, 4mm, 7mm, Bachmann, Dapol, etch, exhibition, Finescale, Graham Farish, Heljan, Hobby, Hornby, Lima, magazine, model, Model Railroad, Model Railway, OO, rail, Shawplan, Uncategorized, ViTrains. You can follow any responses to this entry through the RSS 2.0 feed. You can leave a response, or trackback from your own site.